If you are thinking of taking up or improving your teaching, this is THE course to do. You will find a professional and encouraging team that will provide you with all the necessary material to develop your plans. Moreover, they are prepared to share their knowledge and answer all your doubts – I apologize to my teachers for the no end of questions I made! Don´t get me wrong, it´s not all fun and games and a smooth ride till the end. The course is very demanding and intense, and it requires complete dedication and utter concentration. But then, somehow, when you are most desperate, everything clicks into place, like pieces in a jigsaw puzzle, and that is when one really begins to enjoy what they are doing. Not only do we acquire more teaching strategies, but we are also made aware of the very basics, which we tend to give as forgone conclusion due to our hectic lifestyles – let your senses work and gather all the information we have flying around a classroom! We become students again to understand our students better, we become observers of what we have in front, reflective about our work and critical with the materials we use. Then, last but not least, if you haven´t tried peer teaching, I encourage you to do so - as it is a wonderful experience where two peers really find out the true meaning of sharing. The results of all this, turn into having happy students and confident teachers, who know what they are doing, and also employers finding the employees with the right skills they need. Without hesitation, there is a before and an after doing this course, and I challenge you to remain the same after fulfilling it – you won´t, you´ll be a TEACHER!! I studied with the Oviedo TEFL center during February – May 2014. The course director, Adriana, is incredibly resourceful and helpful, offering guidance and assistance to her students every step of the way. Guest teachers also gave lessons, exposing us to many different methods and styles of teaching. With opportunities to lesson plan and teach with real students in the classroom, personalized feedback, and plenty of theory to learn innovative and dynamic teaching techniques, I constantly apply what I learned during the course to the job I have today. Recommended to aspiring and seasoned teachers alike! 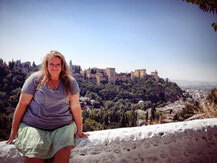 The Oviedo TEFL Centre has helped create many opportunities for me. In the 8 week TEFL course, I learned so much about teaching English as a second language, various teaching methods, and education theories. I was able to develop my teaching skills and knowledge and then apply what I had learned in the classroom through student teaching. Students have access to a multitude of inspiring resources and I feel that I am now better equipped to teach English to people of all ages and backgrounds. The course provided me with a strong foundation for a career in English education. It was a privilege working with Adriana and the teachers of The Oviedo TEFL Centre. You can sit there and complain about it or you can improve and consolidate your skills and knowledge to become “employable” in the world of Teaching English as a Second Language. I had the Certificate of Proficiency and Grade 12 of Trinity College, as well as vast experience, but I wanted to challenge my skills and polish my teaching style. I got exactly what I was looking for. If you have a positive attitude, I strongly recommend this course. It is very difficult to get honest and useful critique of your teaching style (especially if your are over 40…like me) but Adriana will guide you to the right path and she is not shy to tell you where you need to improve…If you don’t want to hear about your weaknesses do not choose this course. In the Oviedo TEFL Centre, they know what they are doing and you will not waste your time. With the preparation you get from the TEFL course you will be sufficiently prepared to pass all TKT modules…I did! The non-intensive blended course is a good choice if you have to juggle work, kids and study…you will have to work for it but if there is a will, there is a way! 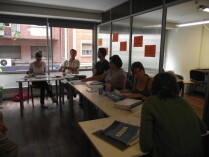 If you are looking for good TEFL training then the Oviedo TELF centre is a place you can count on. The course is designed for people with no, little or some experience with English language teaching. Having said that, you would have to work very hard and you would take on a lot of information in a short space of time. The tutors are friendly and helpful. In my opinion, the course is worth the time and money. "Oviedo TEFL centre offers an encouraging approach to teaching that will guide you through the tools, steps and motivation needed for a more rewarding experience in your career as an English teacher. If you are a non-native teacher willing to go beyond the traditional role of the language teacher in the Spanish teaching system this is definitely the ideal course to get a different perspective that will enrich your teaching skills and perception." 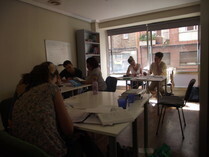 If you are starting out in the world of EFL teaching, I fully recommend Oviedo TEFL centre. In a matter of 4 short weeks it has given me the tools to become an EFL teacher, made me think about things I had never thought of before, given me a crash course in classroom management, English grammar, ways to present the language, techniques to teach the different skills (reading, writing, listening and speaking) in the most effective way, and has allowed me the opportunity to have many hours of teaching practice with groups of different ages and abilities. If you are planning to do the intensive course – be warned, it is called intensive for a reason! So make sure you do not have too many other responsibilities during this time, as you will be eating, sleeping and breathing TEFL. However, it is definitely worth the hard work and although at the end you may feel worn out, you will also feel that it has been a great accomplishment and put you squarely on the path to becoming a good teacher. Saying that, the learning curve does not end at the end of these four weeks; as one of the tutors said, the real learning starts once you begin teaching for real. The Oviedo TEFL Center Intensive Course was an extremely hard, exhausting, and remarkable experience, that’s for sure! Expect heartache, but also a massive sense of achievement and a steep learning curve. The trainers had to turn us into “real” teachers in a matter of 4 weeks, and this task was taken seriously. The curriculum, an adaptation of the CELTA course, included classes in the mornings, practice teaching in the afternoons, lesson preparation & plans in the evenings, and essays and reading on the weekends. The course focused on grammar, teaching theory, lesson plan writing, classroom management and strategies, usage of technology, teacher development, and the nuances of working with different age groups and levels, supplemented by primary source readings and video observation. 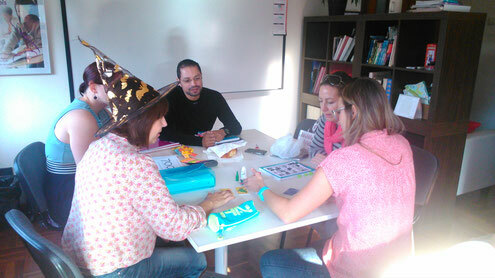 Of note, unlike the traditional CELTA, the Oviedo TEFL Center includes teaching practice with children. The chief trainer in the course is Adriana Real, and she is largely responsible for its success. Adriana is a dynamic and witty instructor who motivates her trainees with a conversational style, ready sense of humor, and uncanny insight into each student’s persona. At the same time, she challenges her intensive-course trainees with a hefty amount of reading and homework; Adriana is in the business of making good English teachers, and she’s renowned for doing it right. She has a long list of academic contacts who call her when looking for teachers: within one week of starting her course, I had a job offer! What was the hardest part of the course? I’d say the teaching practice was the most challenging. Each teaching experience involved writing a lesson plan, finding or creating handouts, figuring out which books to use and how to use them, teaching the lesson to “real” students, and afterwards sitting down with Adriana for a detailed review. How nerve-wracking! How to deal with the tension? It helps to remember that the course is about learning, and that mistakes are key to learning: if I were the perfect teacher, I wouldn’t have signed up for the course in the first place! After a month of studying, reading, and teaching, and after my fair share of praise and constructive criticism, I can say I have emerged in one piece, happily worn-out and bursting with wisdom, and with a new sense of confidence to face my future. The long nights, the reflective conversations, the time and financial investment, the rush of vocabulary and skills and grammar, the painful aims that refused to match my lesson, they were all worth it. I can only thank the trainers, other trainees, and our practice-students for the opportunity! It’s been an amazing experience! If you want a challenging, high-yield, and meaningful course to prepare yourself for a career in teaching English, the Oviedo TEFL Center Intensive Course is for you. "Great course definitely recommend it. Would do it again. Meeting nice people from all over he world." "The truth is... they provide more than the tools they offer... zest, encouragement, support, a good amount of laughter... want to teach? choose the best examples to follow!!! Thanks for this great opportunity!"